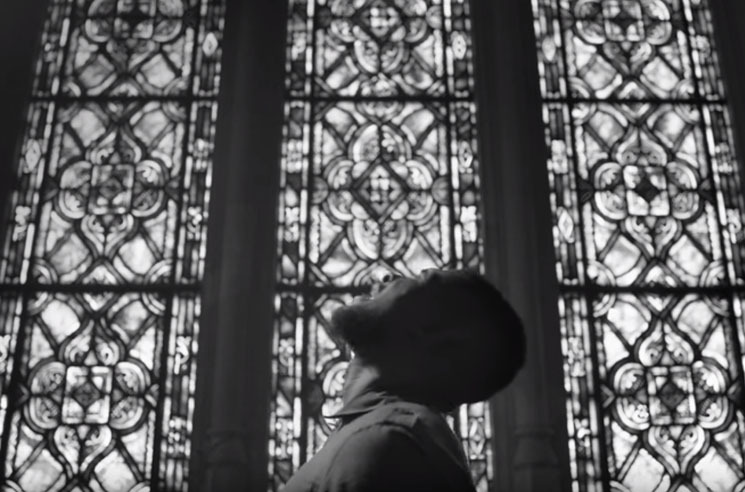 Back in October, Usher dropped a powerful clip for his collaborative track "Chains," featuring Nas and Bibi Bourelly. Cutting together footage of high-profile victims of gun violence like Trayvon Martin, Rekia Boyd and Caesar Cruz, the original clip forced viewers to confront the realities of the tragedies, accessing their built-in computer cameras and pausing the video each time someone looked away from the screen. Now, the track has been treated to a more standard video format, though the message remains the same. Usher and families of the victims pay homage to the dead at a funeral service, shown between shots of protestors and dramatizations of guns being destroyed. Watch it in the player below.